THE IRON DOOR PROJECT CAN EASILY TRANSFORM YOUR CONCEPT INTO A REALITY. WE NOT ONLY EXPECT THE BEST, WE DELIVER THE BEST QUALITY CUSTOM IRON DOORS IN AND AROUND WICHITA, KANSAS. GIVE YOUR HOME THAT REAL CUSTOM FEEL, OUR IRON GARAGE DOORS CAN BE CUSTOM MADE TO MATCH YOUR IRON FRONT DOOR. The owners of The Iron Door Project are proud to offer the highest level of quality and workmanship in our iron doors to the public and to builders throughout Wichita, Kansas. With 4 decades of building experience, we not only expect the best, we deliver the best quality product with unsurpassed customer service. We stand behind our word and our work, and good ethic's is truly the cornerstone of The Iron Door Project. Located in the heart of the mid-west Wichita, KS, shipping is a breeze. In store pick up, local delivery, or cross country drop shipping, all are possible. We have on staff draftsmen that can collaborate with you to incorporate your ideas and create the perfect dream iron door for you. WHY CHOOSE A CUSTOM IRON DOOR? 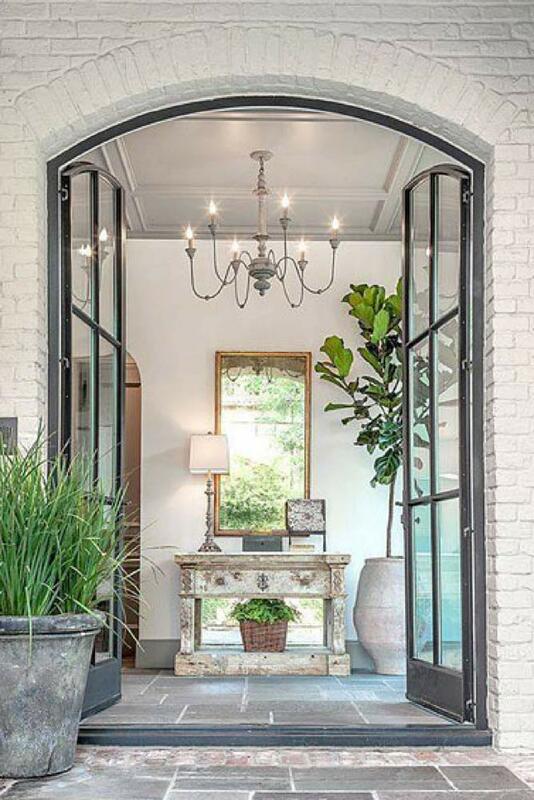 An entry door is much more than just a door, it is a first impression. It is a direct representation of your unique and personal style. Why not show it off? Steel doors have unparalleled strength. Starting with the steel frame and threshold it is not difficult to see why it is the most secure opening in your home. Moving to the door itself, there is no need to open the door to see who is there, just open the independent glass leaving the door locked and secure. Offering a vast selection of styles, from old world wrought iron doors, to modern, or anything in between. The Iron Door Project will help you design the perfect entry system to make the exact statement you have always wanted for your home. Built to last a lifetime, an entry door system from The Iron Door Project will stand the test of time, and stay looking great for its entire lifetime. Unlike wood or fiberglass doors which need to be refinished every 3-4 years, there is no maintenance needed. Not sure what iron door design to choose? Are you looking for something unique? 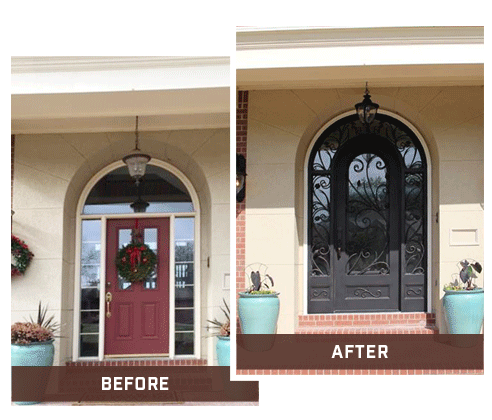 The Iron door Project can make your iron entry door dream a reality. Your inspiration can come from photos found on the web, other doors you have seen or entirely from your imagination. You can also provide us with your “guestimate” door openings and a photo of your front door to receive a free estimate. Our on staff designer and draftsman will work with you to help you see - your custom, dream iron door come to life. 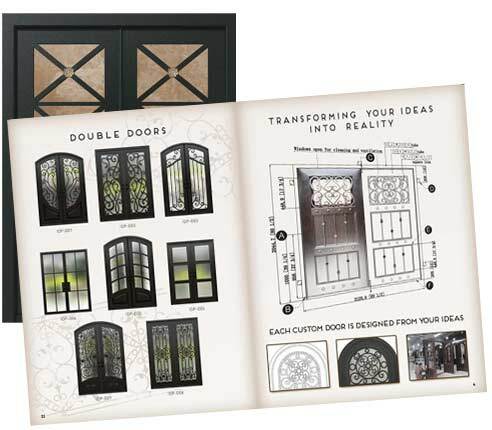 The Iron Door Project 2018 interactive brochure showcases our collection of styles and options. Choose from single entry, double entry, wine cellar or garage doors. Click to view the 2018 Iron Door Project brochure or view our In–Stock Iron Doors. “We were referred to your company by respected friends. It was an excellent experience from start to finish! The Iron Door Project had a wide selection of iron doors to choose from, and was very helpful in helping me tweak a design to suit my taste, I just love our new iron front door, I highly recommend if you are looking to replace your homes door or garage that you visit them." Your homes entry and garage doors reflect your unique personal style and creates a first and lasting impressions. Iron doors in all shapes and sizes, single doors, double doors, wine cellar doors, 15 foot arched doors, iron garage doors - we do it all. Our staff draftsmen can also collaborate with you, to incorporate your own designs and create the perfect dream entrance iron door. 4 decades of building experience, we understand the importance of delivering the best quality product, and are proud to offer you the highest level of hand forged iron workmanship, with customer service that will knock your socks off. The Iron Door Project in Wichita, Kansas, offers iron doors in a vast selection of styles, choose from old world wrought iron doors, to modern, contemporary, and custom doors tailored to your satisfaction. In store pick up, free local Wichita, Kansas delivery and installation or cross country drop shipping - we do it all. Handmade Premium Quality Iron Doors and Custom Iron Doors for your home or business. Located in the heart of the mid-west Wichita, KS, shipping is a breeze. In store pick up, local delivery, cross-country drop shipping and installation - we do it all. Thank you The Iron Door Project will be in contact with you shortly. © The Iron Door Project. All rights reserved.